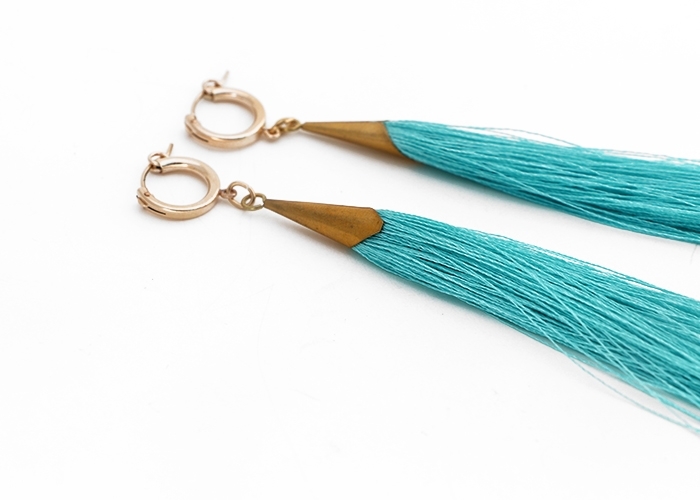 Turquoise silk tassel earrings are made of strands that flow gently from a levered hoop of gold plated sterling silver. 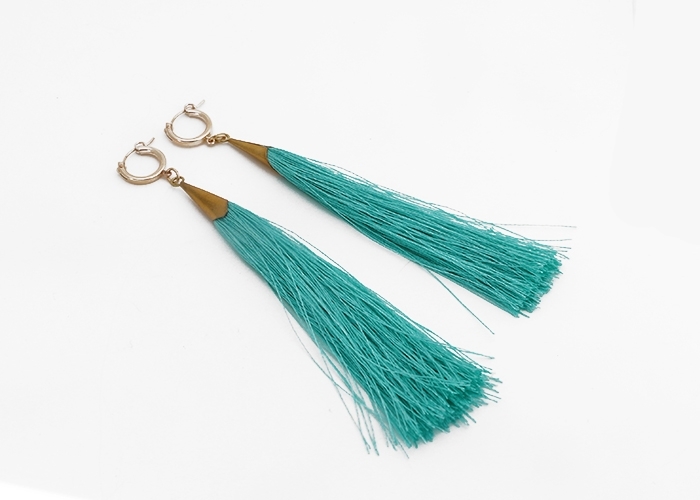 The tassel is 4" and the total length is 5". Brass cap on tassel.